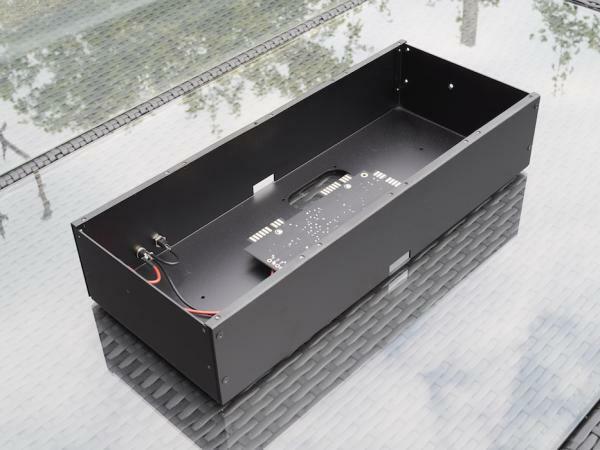 Black powder coated aluminum boat for up to 4x 1U modules. Choose your power configuration. The extra-deep version in the dropdown menu is made to fit a 208 + a small powered busboard. The standard version will fit a 208 and a passive busboard. 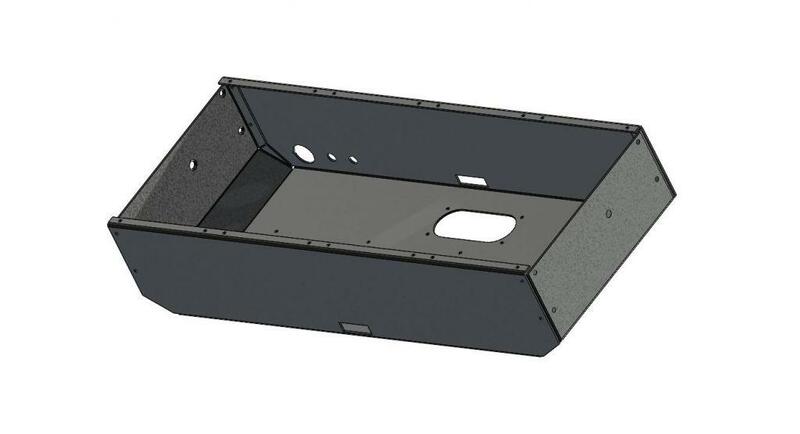 A set of M2.5 screws to mount your modules will be included. Here is a picture if you wonder what “203-style” sides means on the extra-deep versions of my 4U boats: 2 angles on the sides, just like the larger boats.